Ken Russell, RIP. | The Cineaste's Lament. ← New “Underworld” Promo Photos Released. The famed British director has died, aged 84. Here’s his obit, courtesy of The Guardian. 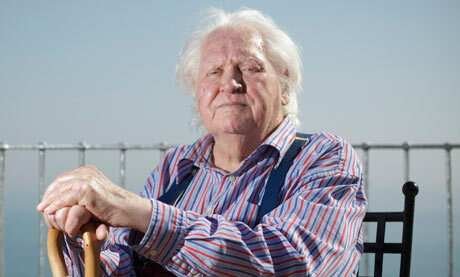 “Ken Russell, the director behind the Oscar-winning Women in Love has died aged 84. Russell died on Sunday in his sleep, according to his friend, the arts writer Norman Lebrecht. Known for a flamboyant style developed during his early career in television, Russell’s films mixed high and low culture with rare deftness and often courted high controversy. The Devils … a religious drama that featured an infamous scene between Oliver Reed and Venessa Redgrave sexualising the crucifixion – was initially rejected by Warner Brothers. It will be released in its entirety in March next year, 42 years after it was made, when it will form part of the British Board of Film Classification’s centenary celebrations. This entry was posted in drama, Film News and tagged Jade Goody, Ken Russell, Women in Love. Bookmark the permalink.